The sky is the limit for Wolfgang Puck Catering! We can’t say enough great things about their luscious delights and fantastic feasts for weddings! They strive for perfection and will accommodate any size, theme, or special requests in virtually any location! With world-renown chefs, the delicious food doesn’t have to stop at just your reception. Wolfgang Puck Catering will wow your guests at your engagement party, rehearsal dinner, wedding, or even a special brunch on the day after the big celebration! 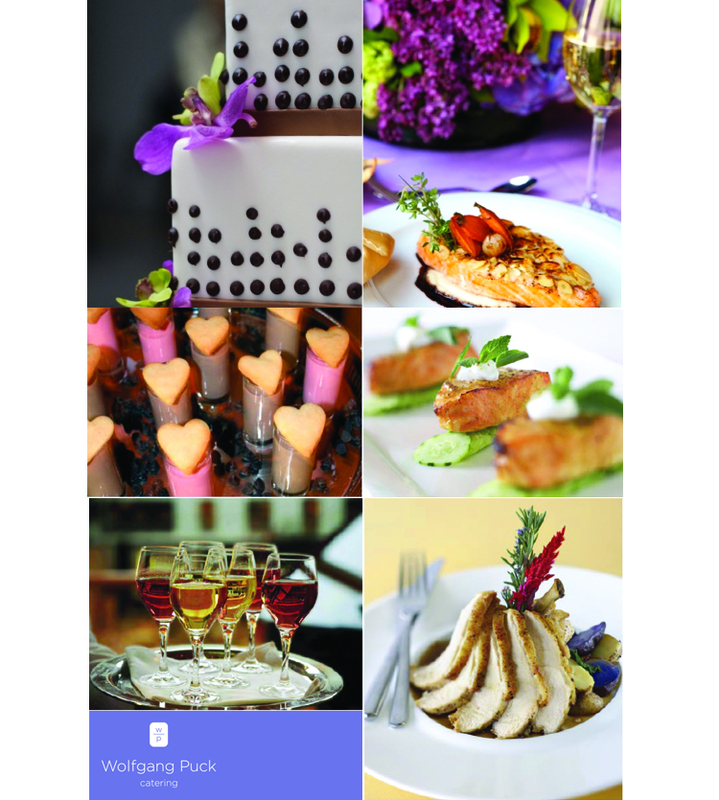 With countless menu options, your food is sure to be as unique as your wedding! How cute are these heart-shaped desserts, and wouldn’t you like to sink your teeth into these amazing entrees? Contact Wolfgang Puck Catering today, 214.749.0312, to create a truly tailored dining experience for you and your guests. Ciao! « Previous Post: Only 12 Days Left!